More to come… Check back soon! Sunday, October 25, 2015, 1 to 3 p.m.
At this workshop, I’ll show you how to prepare healthy, vegan meals from whole-food ingredients, even when time is limited. There will be a live demonstration of two recipes, and you’ll get to taste the demonstrated recipes as well as a few other vegan dishes I’ll bring along. Participants will leave with helpful tips and additional recipes to add to their weekly rotation. Sunday, September 20, 2015, 12 to 3 p.m. This wonderful studio is where I do my daily yoga practice. I’ll be sharing yummy, healthy vegan food and recipes at this special event, which also includes free 30-minute samples of all yoga classes, and a yoga clothing and equipment swamp meet, which is a great way to trade your old things for gently used treasures. 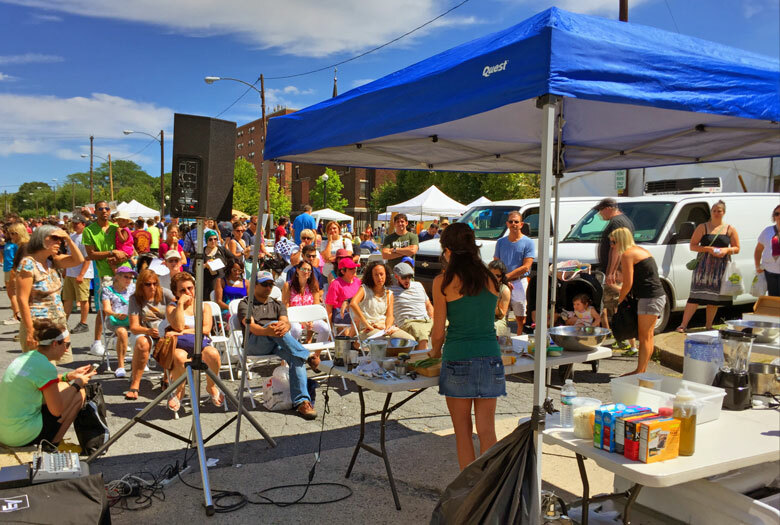 An all-vegan festival in the South Bethlehem Greenway. I’ll be representing Green Sage with a cooking demonstration at 2 p.m. Please come out to show your support for this awesome free event and enjoy the day’s festivities. I’d love to see you there!